Hosted by ag broadcaster Brian Baxter, RFD-TV's popular series "Classic Tractor Fever" is a must-see for any tractor enthusiast. The series takes fans inside the different tractor makes and models highlighting how these machines have changed the world of agriculture and meaning of "horsepower." Take a look at vintage tractors, classic tractor auctions, farm shows, toy collections and more! 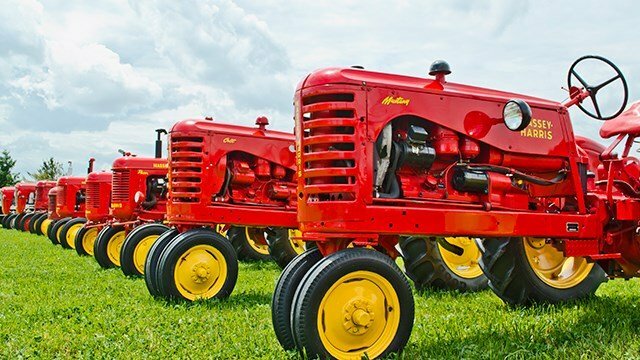 See some of America's top antique tractor shows including the annual Albert City Threshermen held in Albert City, Iowa, the Florida Flywheelers, and the Orange Spectacular in Minnesota. Classic Tractor Fever is THE place to find the history, the stories, and the passion of collectors who are preserving these beautiful and amazing classic tractors. Hear the engines and see History in motion with an inside look at the mechanical innovation of the legendary tractor with brands like Hart-Parr, Farmall, Caterpillar, Rumley, Fordson, John Deere, Oliver, Minneapolis-Moline, Massey-Harris, International Harvester, and Case models and more. Get the full schedule HERE.